In this guest blog Pierre-Paul Bermingham explains how Victron Energy’s Pay As You Go (PAYG) solar power systems are allowing lower income customers to take advantage of high quality products, whilst at the same time improving energy provision and local employment. Here are 3 examples of the kind of systems offered for the PAYG market – and importantly this guest blog below – showing how such systems have worked out in the field for the customers and the companies installing them. 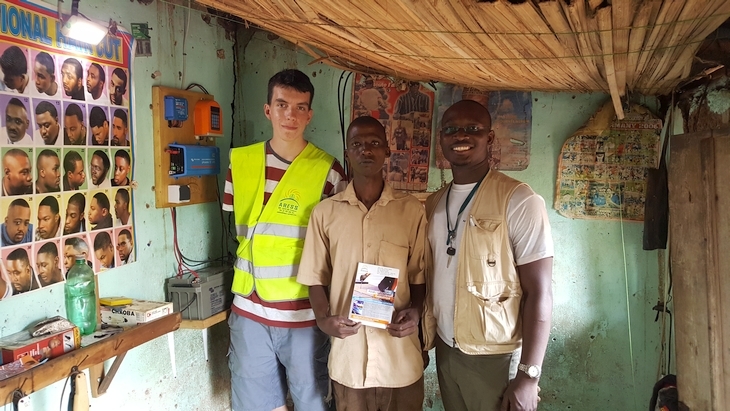 My thanks to Yoann Le Fol (Victron Energy Sales Manager for West and Central Africa, Madagascar, Comoros) for making me aware of these installed systems in Benin. 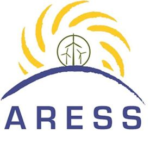 For three weeks now, I have been driving up and down the small West African Republic of Benin, as part of an internship with a solar company called ARESS. The aim of such comings and goings? Selling, delivering and installing solar energy kits of various sizes to a population hungry for a stable source of electricity. Those of us who have lived with electricity all our lives may easily forget the significance it can bring to bear on one’s life. During my travels the most memorable interactions with the Beninese will remain for me the excitement shown by clients at the prospect of lighting their house at night, watching television, or having a refrigerator; as well as the curiosity of neighbours and villagers seeing a yovo (foreigner) fitting panels on a roof. Electricity in Benin is a fickle thing. Many areas, particularly in rural environments, are not covered by the national grid. Unpredictable power cuts and a sometimes questionable billing system plague those that have power. The most popular solutions are inconvenient at best: power generators are noisy and their fuel consumption excessive, and the solar equipment found in small shops along the roads have lifespans indicative of their poor quality. Enter ARESS, the company I’m working with. Specialised in solar energy, they have in the last few years gained a reputation built on the reliability and efficiency of their systems. At the heart of this success lies the use of quality equipment, for which Victron Energy can be thanked. In the picture below, you can see the newly-launched basic solar kit we installed, with the iconic blue of Victron highlighting the use of an MPPT controller and a 375VA inverter, in addition to the 90Ah battery. Depending on a client’s needs, further kits provide for more powerful equipment. With such equipment ARESS has received very positive returns over the past couple of years. However one difficulty remained, hindering our ability to offer solutions. 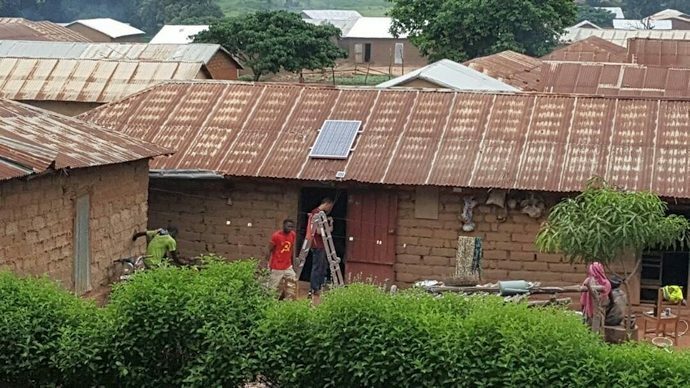 The costs for solar energy have been falling for decades, but for many in Benin it remains a major investment. The key to surpassing this difficulty lies in that orange box you see in the picture above. Designed by French start-up MyJouleBox, this mini-computer is key in helping us convince new customers. It has allowed the creation of a “pay-as-you-go” system, consisting of spreading the payment over three years. Clients no longer have to pay the whole sum in one go but are still obliged to pay every month lest they see their system shut down. With every payment they receive a code by SMS to unlock the system for a corresponding amount of time. Inspired by payment technologies used in Kenya and Tanzania, this has facilitated the capacity to bring the most functional and efficient solar equipment to Benin. By spreading the financial burden over a period of time to make it more manageable, a better solution is available to those seeking energy. In fact a new challenge has been posed in my time here. I mentioned being startled at the enthusiasm our arrival could cause in a village. This enthusiasm has turned into a growing demand for the energy kits that has us racing back and forth in our 4×4, stressfully attempting to quench the clients’ thirsts for electricity! It is with pride that I have taken part in this adventure like no other, conscious that our actions echo two of the greatest challenges the world faces in the present-day: development and environmental protection. The fashionable and efficient results of our actions on a local scale have given me confidence for the global fights against poverty and climate change.